Definition at line 1962 of file CCopasiXMLParser.h. 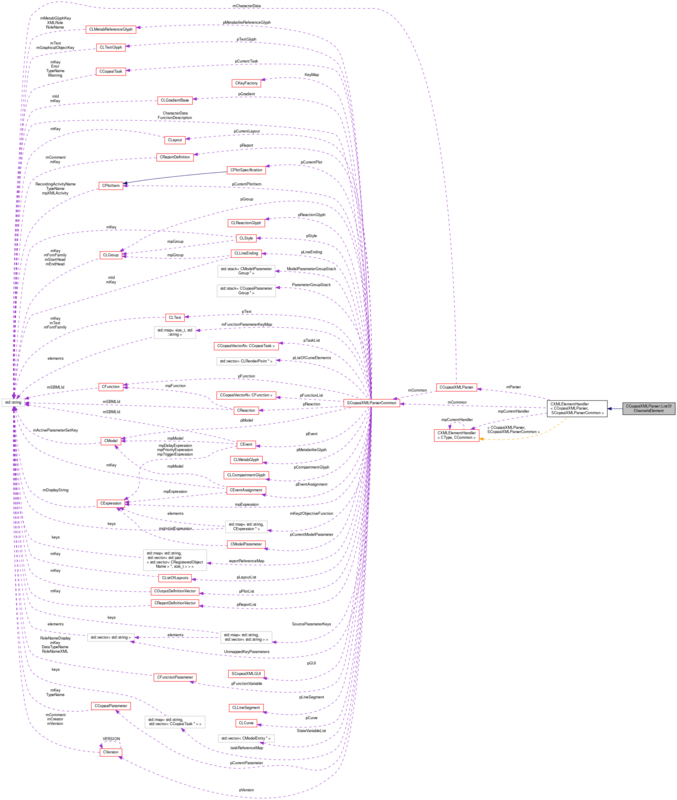 Definition at line 1969 of file CCopasiXMLParser.h. Definition at line 5487 of file CCopasiXMLParser.cpp. Definition at line 5492 of file CCopasiXMLParser.cpp. Definition at line 5538 of file CCopasiXMLParser.cpp. 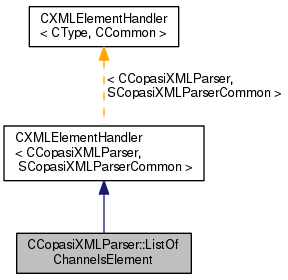 References CCopasiMessage::EXCEPTION, CPlotItem::getChannels(), CCopasiXMLParser::mCommon, MCXML, CExpatTemplate< CExpat >::mParser, SCopasiXMLParserCommon::pCurrentChannelSpec, SCopasiXMLParserCommon::pCurrentPlotItem, START_ELEMENT, and UNKNOWN_ELEMENT. Definition at line 5497 of file CCopasiXMLParser.cpp.